Note how his hair and mustache move as one. Earlier today, "Long-Time 7-and-9" Jeff Fisher was relieved of his duties as head coach of the St. Louis Los Angeles Rams. Jeff Fisher had just tied Dan Reeves for the most coaching losses in the history of the NFL with Dan Reeves at 165. Both Fisher & Reeves' careers have a remarkable thing in common: given the tenure required to even procure 165 losses (more than 10 full regular seasons), neither coach was able to win a championship, thus making their longevity even more amazing. ...which brings us to the NHL and its current crop of head coaches. Which NHL coach best exemplifies the standard set forth by Jeff Fisher: longevity, mediocrity, and no championship? Despite having a team captained by the world-class John Tavares, Capuano has managed to reach the second round only once in his six years, and has missed the playoffs three times. 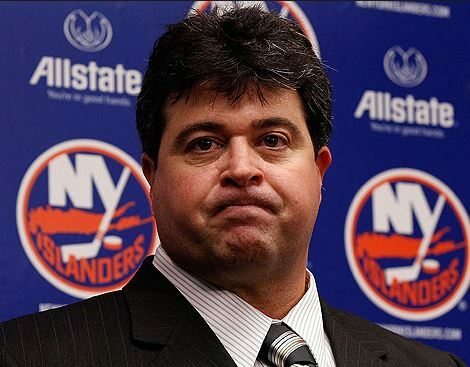 To be fair, Capuano is hamstrung by Garth "I WILL SIGN A GOALIE TO A 15 YEAR CONTRACT!" Snow and an ownership team that fluctuates between Jay-Z and amazing con artists, but his ability to underachieve deserves mention. Unfortunately (fortunately?) for Capuano, he hasn't been head coach nearly long enough to wear Jeff Fisher's mustache. "Trap," they said. "You'll win Cups," they said. They lied. 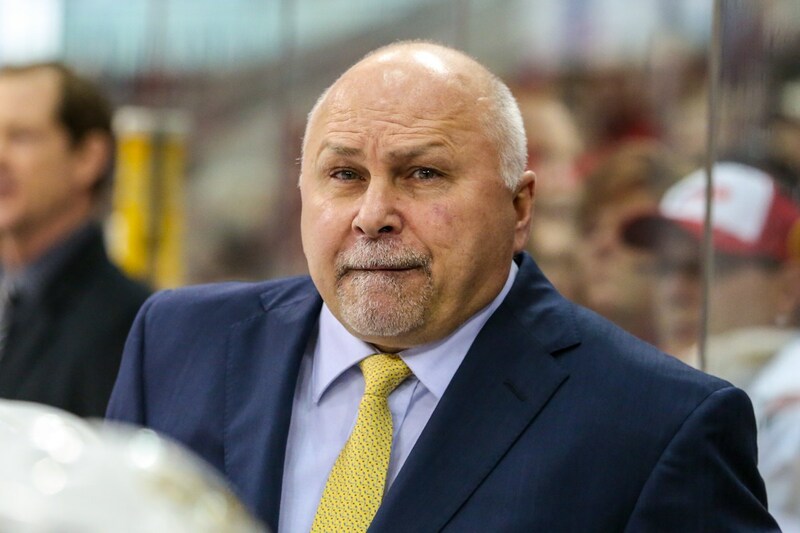 Barry Trotz fits all of the Fisher Criteria: tenure (17 years), a lot of losses (523, 7th all-time), and no championship on which to hang a hat. Trotz, like Fisher, is also known for playing a boring and conventional type of game (in Trotz's case, TRAP TRAP TRAP) and he has historically relied on excellent goaltending to take a marginal crop of offensive talent as far as possible (which is the second round of the playoffs and no further). Still, Trotz's reputation is that of a coach who does "more with less," and transferring his system to the Washington Capitals did result in the Caps running away with the President's Trophy (120 points) as the team with the best regular season record last year...before the clock struck midnight and Alexander Ovechkin and company reverted back into their perennial loser selves, of course. HE. EVEN. HAS. THE. 'STACHE. As first glance, Ruff's resume is impressive: a 702-517-78 record across 18 years, including 14+ at the helm of the Buffalo Sabres. Ruff's teams have made the Stanley Cup Finals once (losing), and lost in the Conference Finals three other times. So why is Lindy Ruff so decidedly Fisher-esque despite all of that relative success? Ruff's legacy deserves a gigantic asterisk because he coached with perhaps the greatest goaltender in the history of the game in his team's net. Dominik Hasek and his unconventional "worm" style of goal-tending won two Hart Trophies (League MVP), two Lester B. Pearson Trophies (MVP as voted on by the NHLPA), and six Vezina Trophies (Best Goalie). 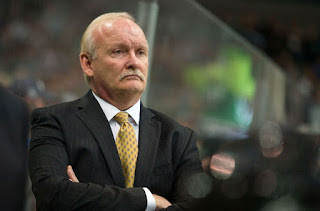 Ruff kept his job with the Sabres despite missing the playoffs six times in a ten-year span...a span which magically began when Hasek left Buffalo for the Detroit Red Wings following the 2000-2001 season (and Darius Kasparitis's legendary Game 7 goal). When your entire reputation exists because a transcendental player winning every award imaginable— and you tank the very second he leaves— you deserve mention alongside Jeff Fisher. Congrats, Ruff: the 'Stache is yours. A championship at last. 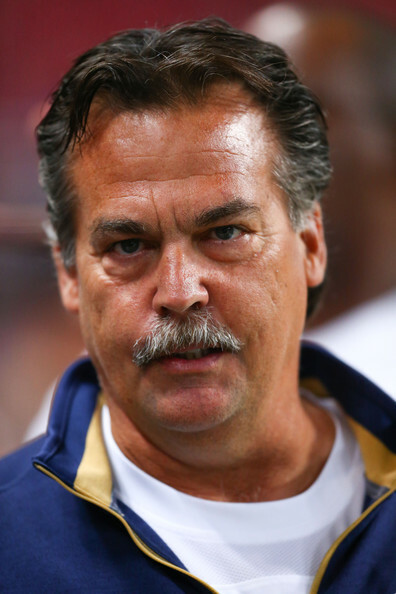 Do you have any other nominees for Jeff Fisher's 'Stache? If so, leave them in the comments below or tweet away to @DXTraeger!